Mexico is an extremely dangerous country. The main challenge facing Andrés Manuel López Obrador, Mexico's new president, is to stop the killing of so many of the nation's citizens. Unfortunately, nothing has changed so far. The number of killings in Mexico is comparable only to that found in war zones, or in Venezuela, where the government promotes violence against its opponents and controls motorcycle-riding paramilitary groups called 'colectivos.' Women in Mexico, where most female homicides go unpunished, face an astonishingly high risk of violence, particularly those living in Ecatepec or Tijuana. The country remains one of the most dangerous in the world for journalists. Murders during the Peña Nieto administration, the deadliest in the country's modern history, surpassed the 104,089 killed during the previous presidency of Felipe Calderón. Alarmingly, even though these leaders came from different political parties, their approach to curbing violence was the same; neither had learned from the mistakes of the past. And unsurprisingly, the outcome of their policies was also the same: more death. The violence has only continued under AMLO (as López Obrador is often known). During his first three months in office, 8,524 Mexicans have been killed - 2,875 in December, 2,853 in January and 2,796 in February. Still it would be unfair to title this column 'AMLO's Deaths.' 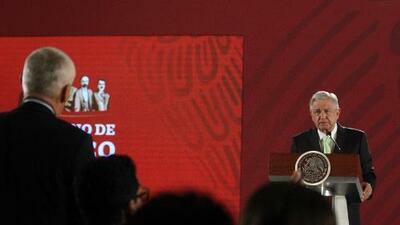 López Obrador isn't responsible for the mess he inherited from his predecessors. However, that doesn't change the fact that the killings haven't stopped, or that a new president with new ideas can't magically stop them. What's particularly discouraging is that if this level of violence continues through 2019, the first year of López Obrador's presidency could be the deadliest in Mexico's modern history, surpassing any year during the Peña Nieto or Calderón administrations. López Obrador, as we know, has plans to set up a new 'National Guard' to fight crime and drug trafficking. The United Nations High Commissioner for Human Rights, Michelle Bachelet, recently agreed to advise the Mexican government in this effort (though the debate continues as to whether the new guard will have an explicitly civilian or military character). What worries me, though, is that there is neither a short-term strategy to stop the murders nor a Plan B if the National Guard doesn't work out as planned. Until the National Guard becomes fully operational in a couple of years, are Mexicans supposed to simply accept the fact that their country is one of the most violent in the Americas? What are they supposed to do in the meantime? Not all Mexicans are lucky enough to be protected by government agents or troops, like former presidents are. I get it: Few things would destabilize the country more than an attack on a former president. Even so, the security they are granted only makes it clear that in Mexico there are still first-class citizens - and everybody else. López Obrador has made many big promises, and his pledge to fight corruption is the most radical of all. But even if he manages to fulfill most of them, Mexicans won't forgive him if he fails to deliver on crime. That's the major issue facing Mexico's young democracy. We don't want to be murdered. Is that too much to ask?